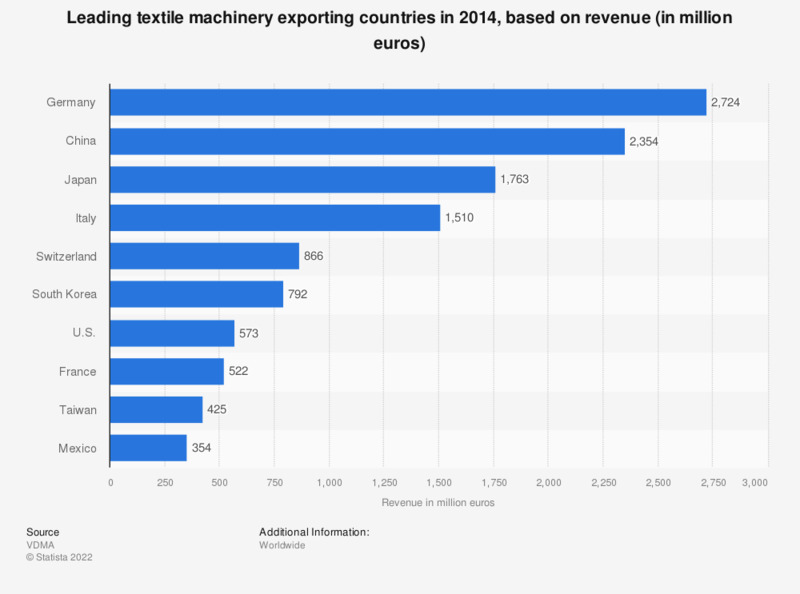 This statistic represents the leading countries for textile machinery exports in 2014, based on revenue. The United States exported textile machinery to the value of around 573 million euros (or about 640 million U.S. dollars) that year, and was ranked seventh. One euro is approximately equal to 1.11593 U.S. dollars (as of September 8, 2015).